Mix cake mix, eggs and oil. Chill cookie dough for 1-2 hours. Preheat oven to 350 degrees. Place parchment paper on cookie sheets. Roll dough into tablespoon size balls. Roll in powdered sugar until evenly coated. Bake for 6-7 minutes. Let cool. Place 5-7 candy canes in ziploc bags and smash until you have small candy candy pieces. Place pieces on plate. 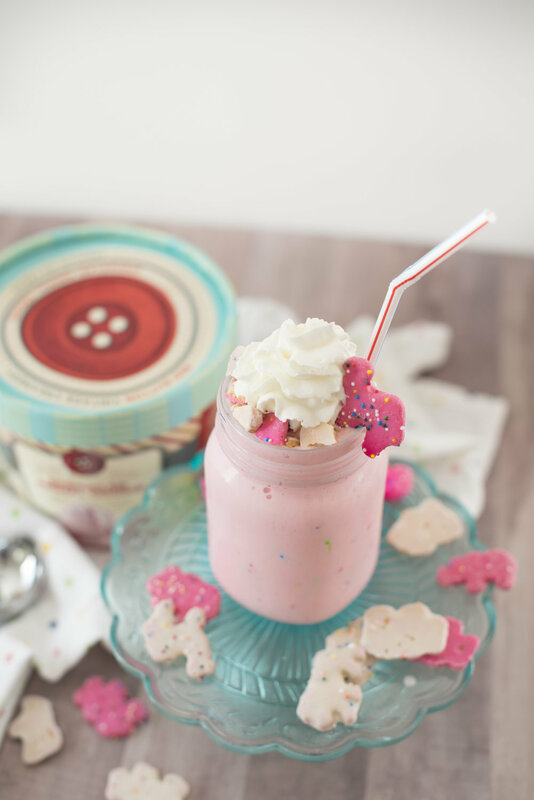 Once cookies have cooled place a scoop of Red Button Vintage Creamery ice cream on cookie. Place another cookie on top of scoop and sandwich the ice cream. 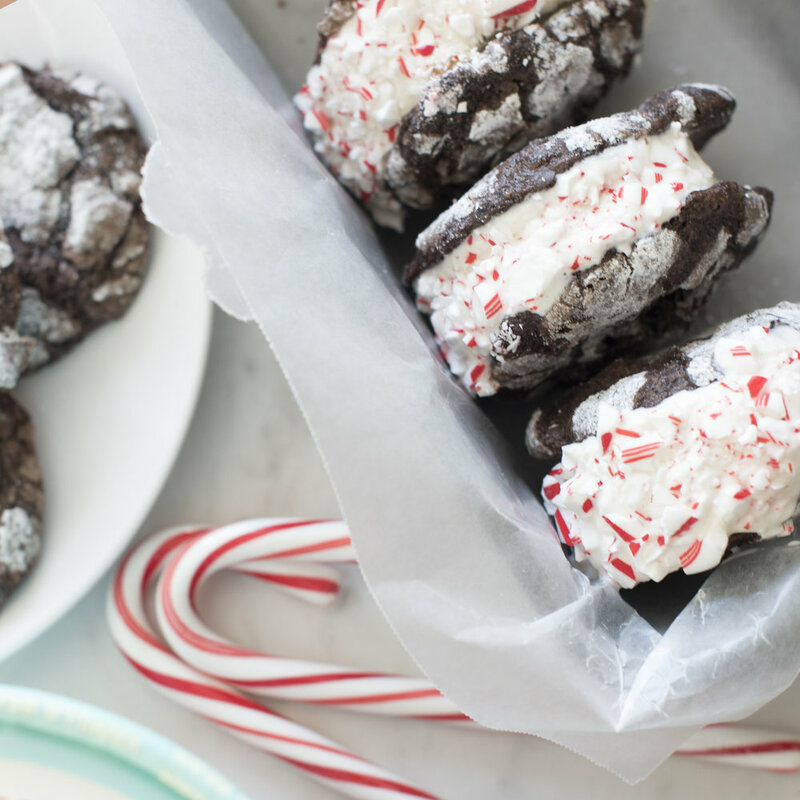 Roll ice cream section into the candy cane pieces. Blend ice cream, milk, pumpkin and spice together in blender. Add 1/4 cup of graham cracker crumbs into mixture and stir. Pour into cups. Place whipped cream on top of shake mixture and top with leftover graham cracker crumbs for garnish. Spread peanut butter into bottom of pie crust. Top with half carton of Red Button ice cream. Drizzle chocolate syrup on top of ice cream. Keep in freezer until served. Top with whipped topping before eating.